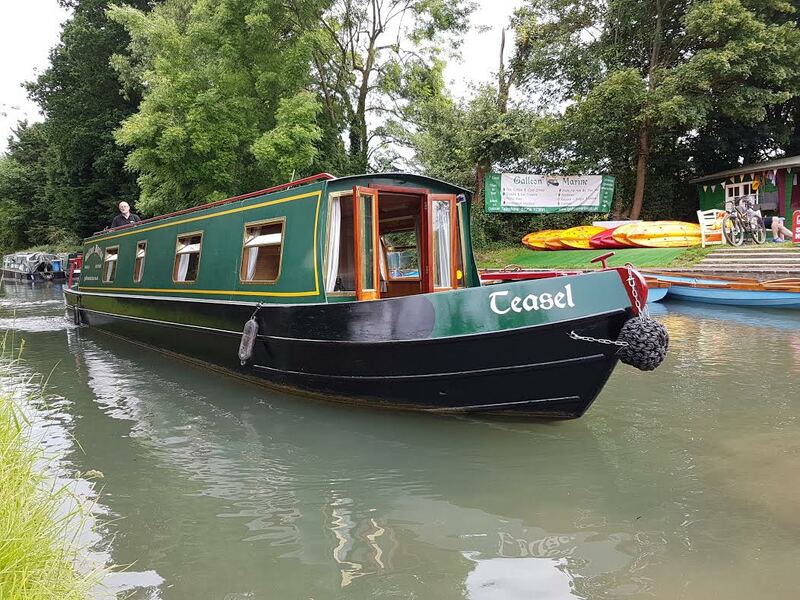 Specifically designed and built by a leading boat builder, to suit the shallow waters of this old and beautiful canal, the classic lines combined with modern facilities make our 4 star (Visit England Assessed) 2-8 berth 'cruiser stern' narrowboats a joy to handle. 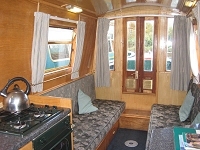 With tiller steering, a spacious fully fitted galley, Diesel powered 'Webasto' central heating, bathroom, flush toilets, a comfortable lounge/dining area with audio system to plug in ipods etc, 16” flat screen digital TV with inbuilt dvd player, 240v mains inverter, doors opening to the bows, these boats really are home from home. 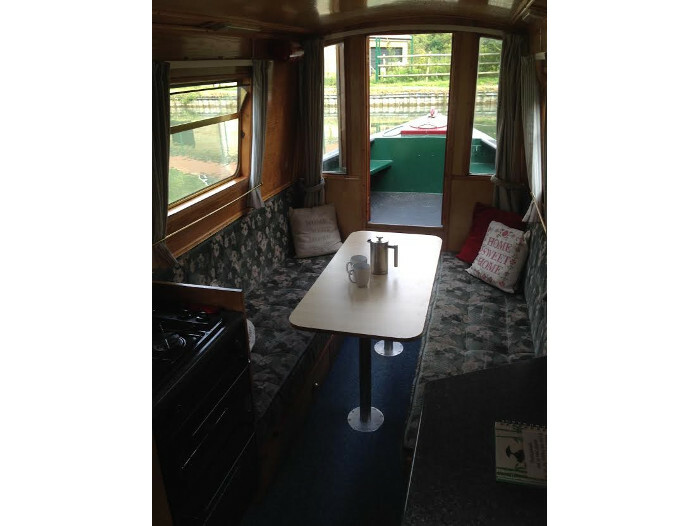 Every boat has a cafetiere, tea, coffee, sugar, salt & black pepper sachets on board. 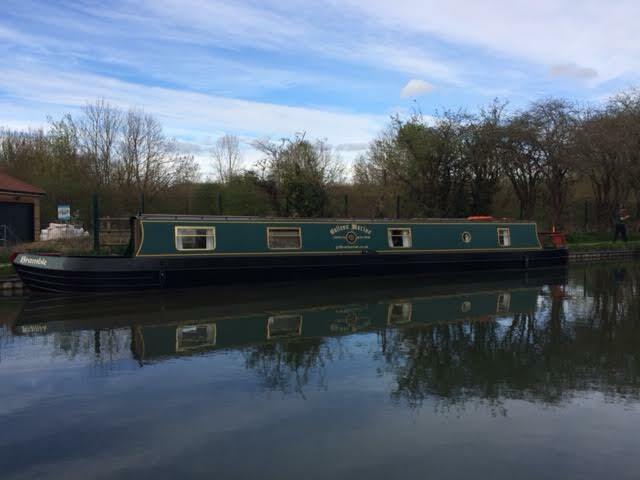 The ideal boat for two - providing superb accommodation for couples with one permanent double cabin, full central heating, hot water, large superbly appointed galley, Large shower and flush toilet. There is a 240v Mains inverter that will power devices up to 500W. A 500w hair drier is provided. The inverter will power; camera battery chargers, hair tongs up to 500W, shavers and laptops. 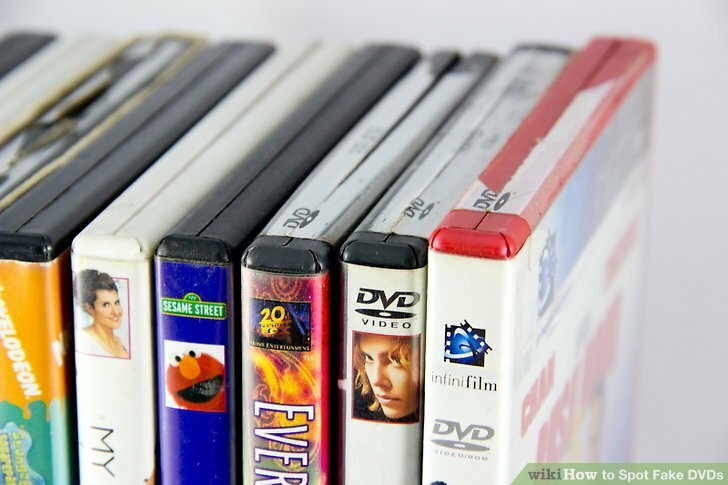 There is a 16” flat screen digital TV on board with a built dvd player. There is an audio system to plug in ipods etc. - the perfect honeymoon boat. Also on board is a USB charging socket. For those who want the best. 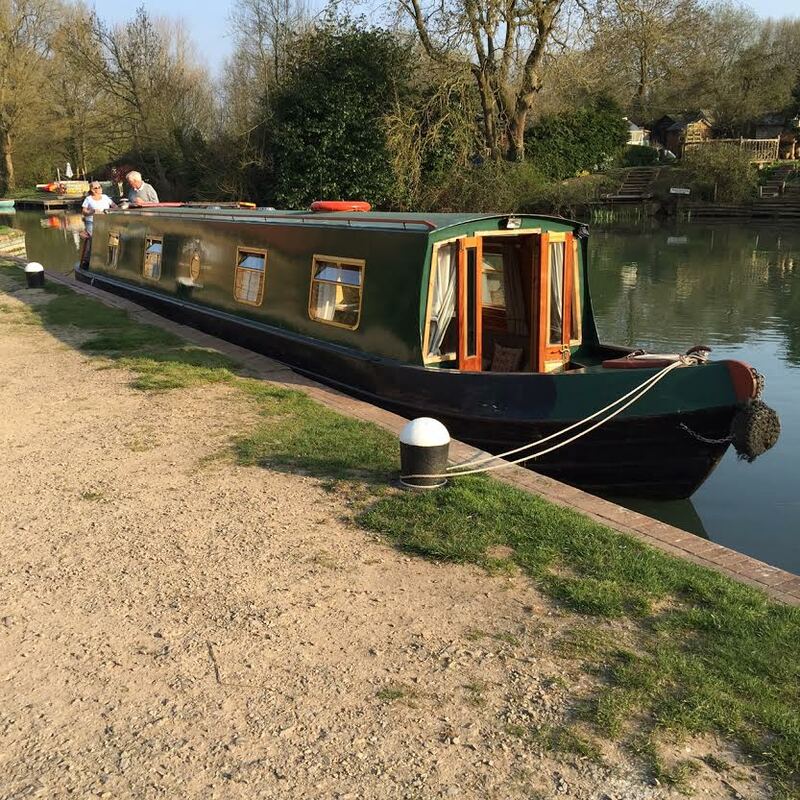 Superb accommodation for the larger family or up to 3 couples in 3 cabins (1 permanent double cabin). 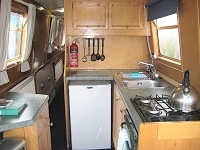 Full central heating, hot water tank, large superbly appointed galley. Bath with shower and flush toilet, 16” flat screen digital TV with in-built dvd player and audio system to plug in ipods etc. Hazel & Holly have 240v Mains inverters that will power devices up to 250W. The inverter will power; camera battery chargers, hair tongs up to 250W, shavers and laptops. Also on board is a USB charging socket for phones and tablets. The big sister to Holly & Hazel. 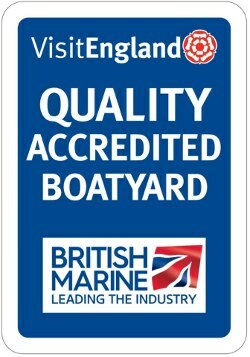 Superb accommodation for 2 families or the larger group in 4 cabins (1 permanent double cabin). 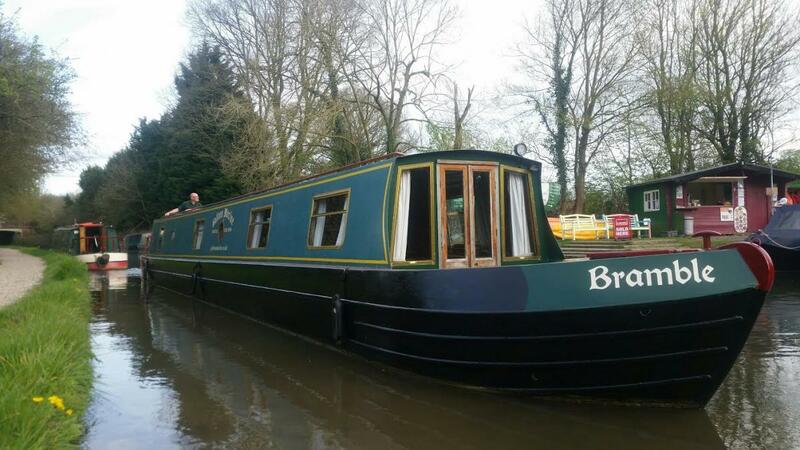 Diesel powered 'Webasto' central heating, hot water tank, large superbly appointed galley. Bath with shower and flush toilet there is also a 2nd toilet with wash hand basin. There is a 240v Mains inverter that will power devices up to 500W. A 500w hair drier is provided. The inverter will power; camera battery chargers, hair tongs up to 500W, shavers and laptops. There is a 16” flat screen digital TV on board with a built dvd player. There is an audio system to plug in ipods etc. 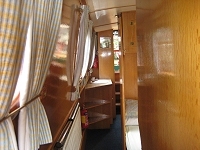 Please note 2 berths are in upper bunks which are narrow, ideal for children and small adults. 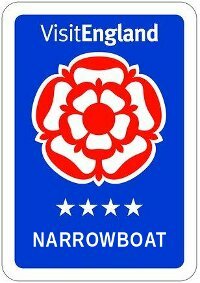 Also on board are 2 USB charging sockets, one in the salon and one at the rear of the boat. 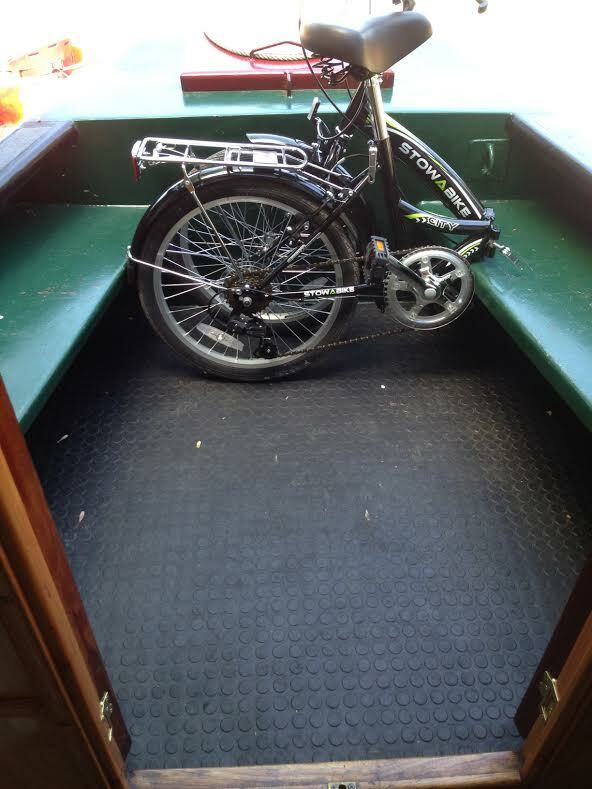 After a few of our hirers asked about bringing bikes on board and being told that they couldn't, we now have folding bikes that be taken on board. The problem with bikes on the Basingstoke Canal is the low bridges. 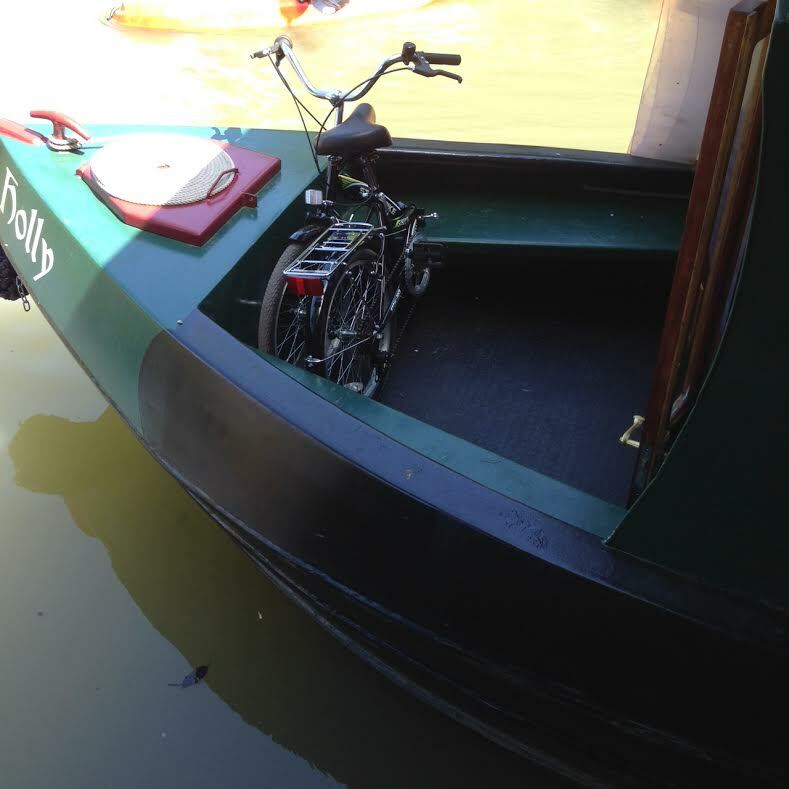 Full sized mountain bikes do not fit in the fore deck area, the aft deck or on the roof. 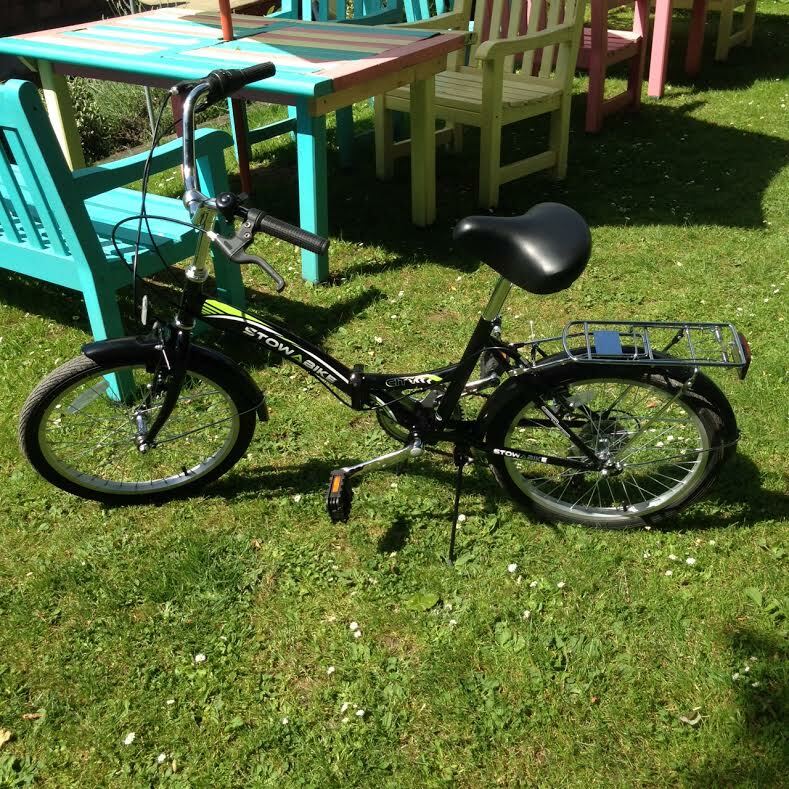 These folding bikes have 6 gears, a great comfy seat, a carrier on the back and are unisex but most importantly fit in the foredeck area whilst allowing crew to get on and off the boat. 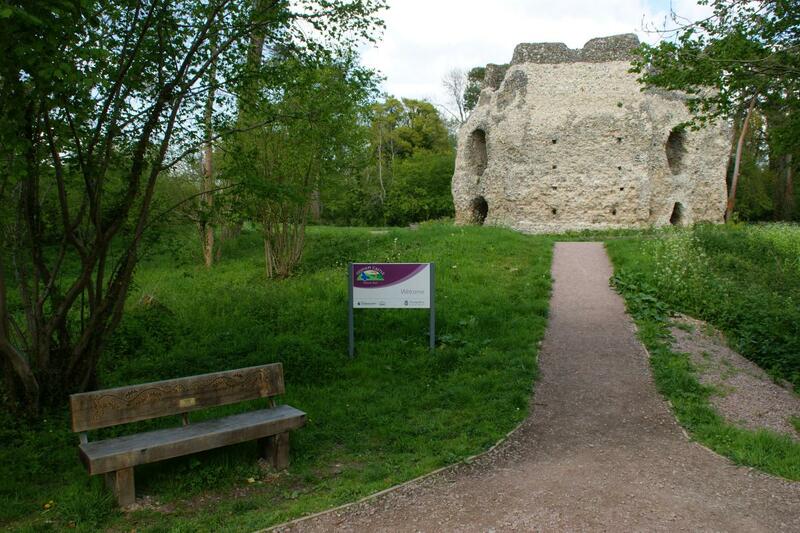 They can be hired at £20 for short breaks and £30 for week breaks. Ideal for just popping to the shop to pick up the papers, milk, bacon or a bottle of wine!